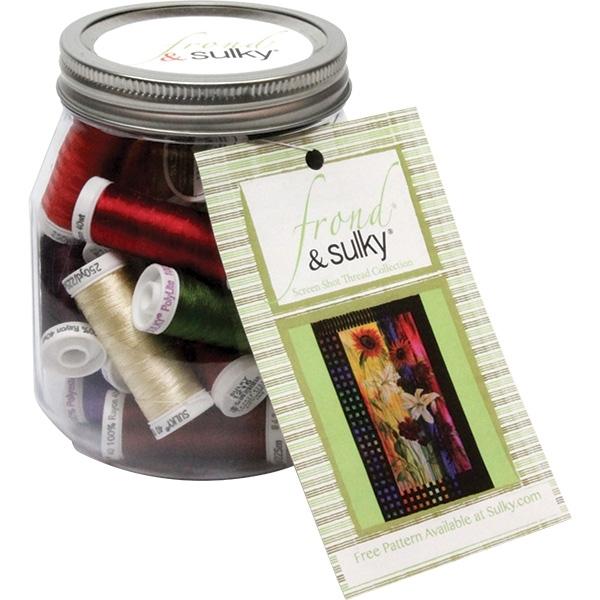 This fantastic collection contains 24 spools of assorted Sulky threads - includes - 2 spools of Holoshimmer, 1 spool of Invisible thread, 2 spools of 30 Wt. Cotton, 12 spools of 40 Wt. Rayon and 7 spools of 6 Wt. PolyLite - click on the contents tab to see all of the wonderful colors. Every thread in this package was chosen to enhance your project. Lynette Jensen - "Flying Colors"